Continuing on from my post last week in which I suggested we should try taking a look around us and just write a scene with whatever pops into view first, I have another simple experiment we can do to try to kick start our creativity for 2015. I have used this strategy a lot, actually, when I want to brainstorm or try to generate new ideas. Find an object in your yard, in the room, in the parking lot, or wherever you might be. Note what it is. 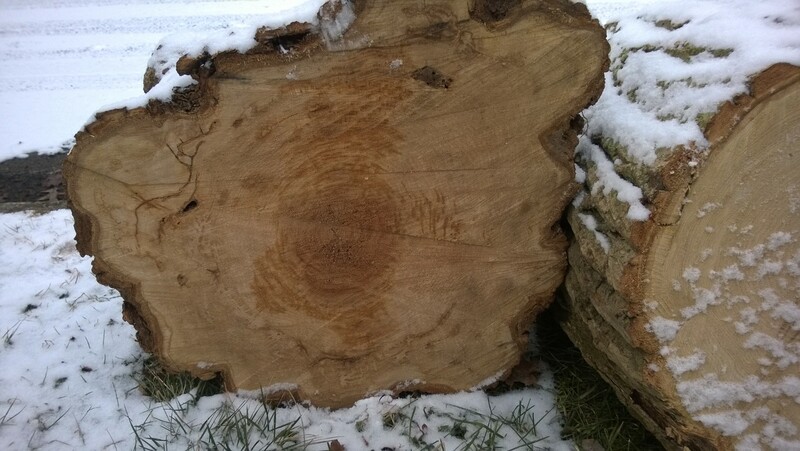 For example, I’m currently looking at a round slice from a tree that was cut down. Now, in your mind or on paper, think of this object as we perceive it today and describe it and how it is used, where it came from, what it smells like, tastes like, feels like, etc. Next… say “What if…” and look at the object from a different angle. For example, my round slice of tree could be stood on end and now it looks like a wooden wheel. What if this wooden wheel had been part of an early vehicle? Who rode in that vehicle? What was the ride like? What did the passengers in the vehicle talk about? Where did this wheel take them? Repeat step 3. What if my slice of tree was actually a pedestal from the Town Center and had a history of people standing upon it and delivering famous speeches? What if it was one of many tables at a neutral meeting place where peace treaties, political alliances and other major decisions were negotiated? What if secret messages were encoded in the rings, like some sort of wooden record? You can do this with anything. Take any ordinary object and change your perspective on it. You can use your camera and take a picture of an object, then pull that picture into photo editing software and change the colors, the backgrounds, the contrast. 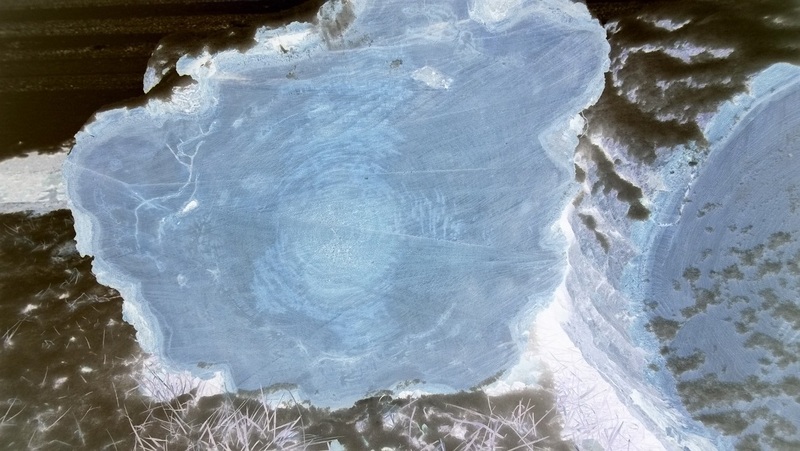 Invert the colors or apply a sepia filter to it (or both). Perhaps rotate it 90 degrees in one direction or another. When you change the perspective, even just a little bit, the whole object becomes new and different. What new stories will you tell about an old, ordinary thing? This entry was posted in Rob Diaz and tagged colors, ideas, imagination, objects, perspective, writing. Bookmark the permalink. Well, Jacqui, what are you looking at? Maybe we can all brainstorm about what that object might be. I especially like your thoughts on #4 point – you have an avid imagination. All the potential ideas about what the wood cookie could do if only the secrets could be found – great stuff here.